The distinction between brand and interior is starting to dissolve. The two elements feed into each other determining aesthetic outcomes. 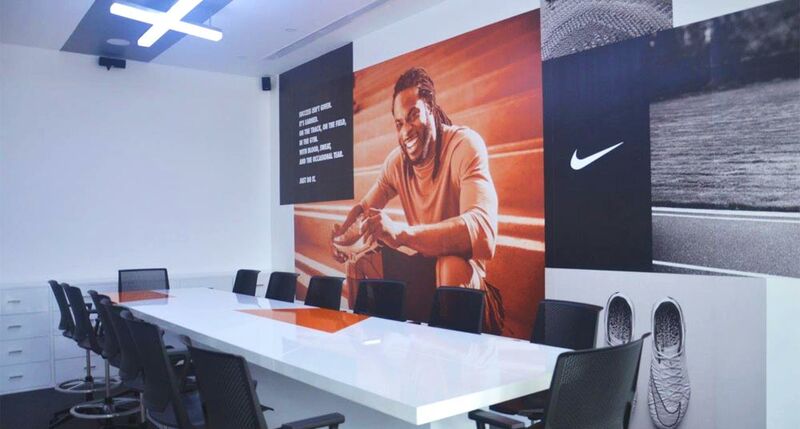 The brand essence of Nike and MAS exist in the details of this state-of-the-art manufacturing and innovation centre. 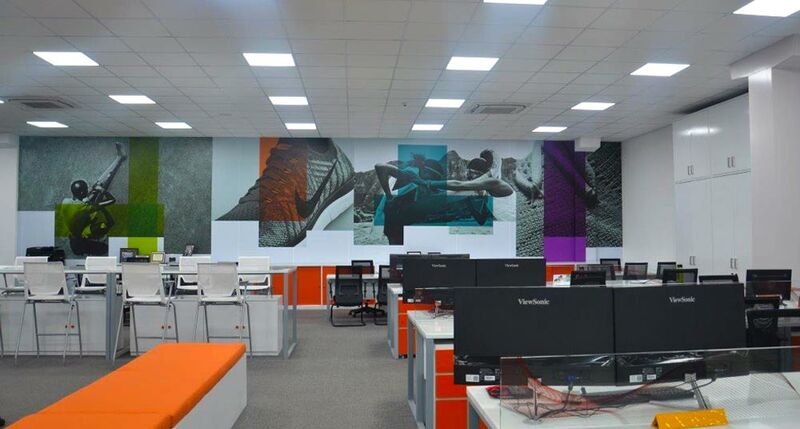 These facilities were designed to keep in line with stringent manufacturing and production regulations as well as offering creative and corporate spaces. 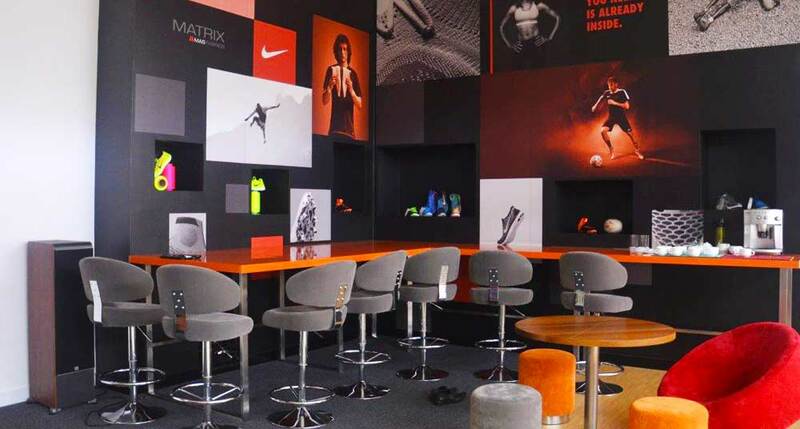 A strong graphic element offers a branded dynamism and aesthetic fluidity to the individual spaces, while touches such as a customisable design wall and ceiling attached​ ​'running track' reflect a​ ​sense of play and exploration.